How to develop leads that will close. Host Jim Obermayer and his guest Tom Judge tackle the thorny issue of not just how to create inquiries and leads, but leads that actually close. As Vice President of Direct Marketing Partners, Tom has solved this problem with some of the largest high-tech companies in business to business; and also some of the most modest in size. Leads that close is a problem for all companies regardless of size. 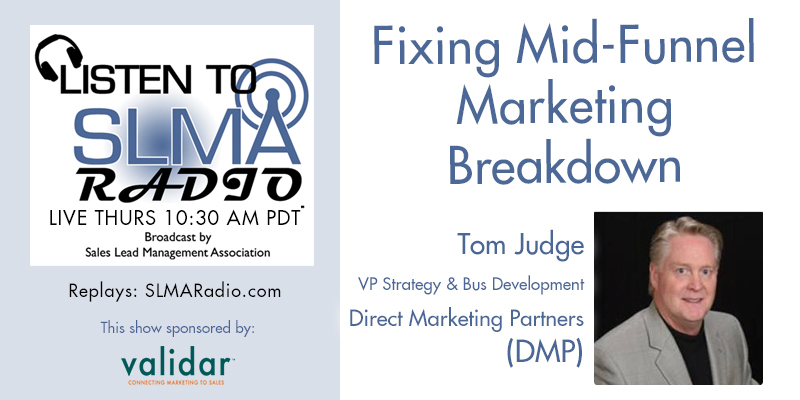 About Tom Judge Tom Judge is the VP of Strategy and Business Development at Direct Marketing Partners. An ECHO award winning B2B Demand Generation and Lead Management services provider. He’s responsible for diagnosing and fixing B2B sales lead funnel problems. 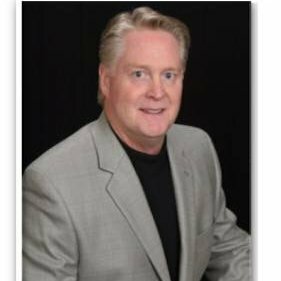 Tom also on the board of the Northern California DMA, runs the NorCal BMA Sales Lead Roundtable, and teaches workshops on Lead Management best practices at events and conferences. He is a member of the Sales Lead Management Association’s list of “50 Most Influential Sales Lead Management Professionals”. About Direct Marketing Partners: Direct Marketing Partners (DMP), is a prospect development demand generation service provider for B2B selling firms with a complex sales process. DMP provides a suite of services and software tools in three major areas so client firms can focus on sales –ready lead pipelines. Solving those with custom go-to-market programs. Ranging from prospect database building, inbound lead qualification and nurturing, outbound target account lead generation tele-prospecting and appointment setting. Campaign management, lead management and analytics.